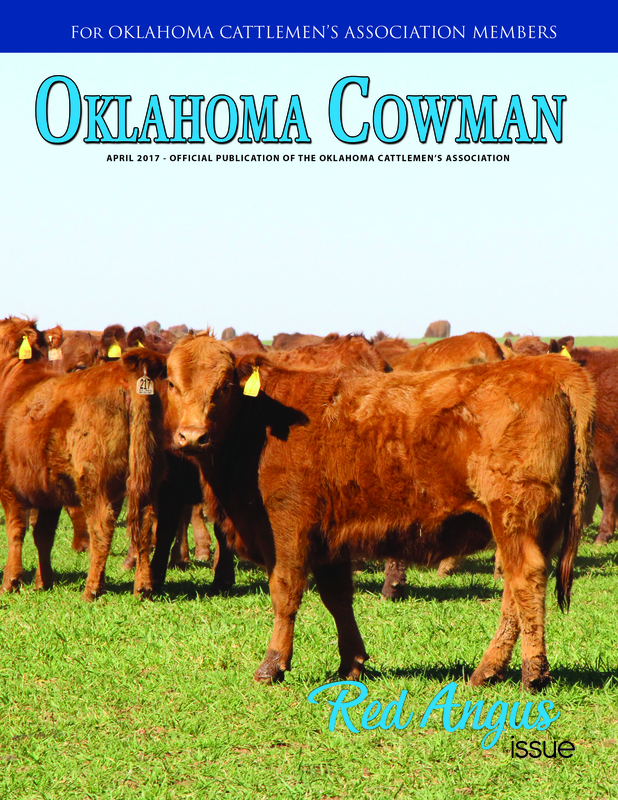 The Oklahoma Cowman is the official publication of the Oklahoma Cattlemen's Association. It was first published in January of 1963 and more than 5 decades later still serves OCA members as the primary source of information regarding OCA activities, industry issues, up to date research information plus a monthly focus on Oklahoma's vast ranching industry. The Oklahoma Cowman prints 12 issues each year and is regarded as one of the oldest and most respected livestock publications in Oklahoma. Chisolm Kinder serves as editor and Chancey Hanson is the graphic artist.